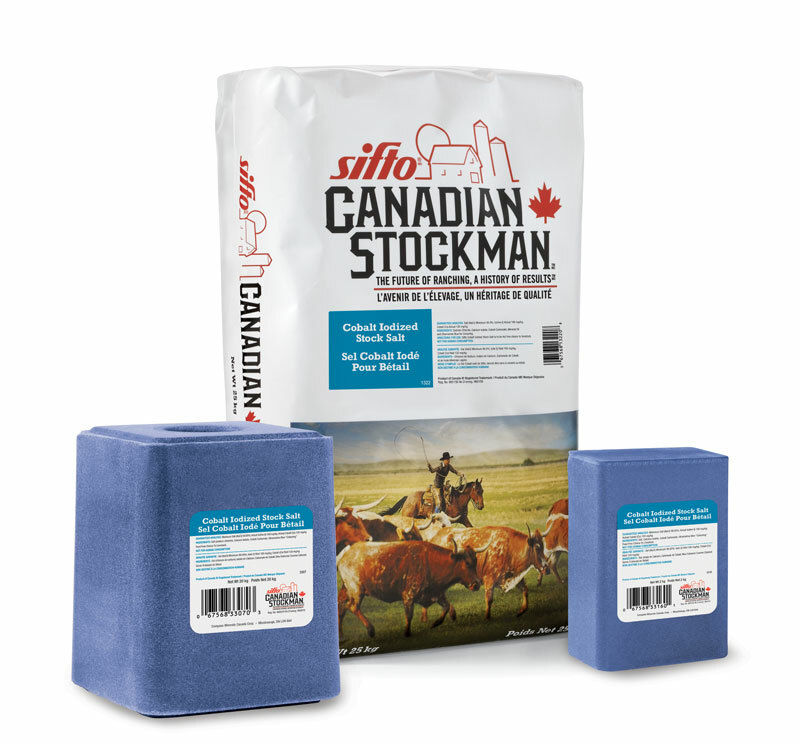 Putting weight on livestock may be easier with the help of Canadian Stockman Cobalt Iodized Salt. 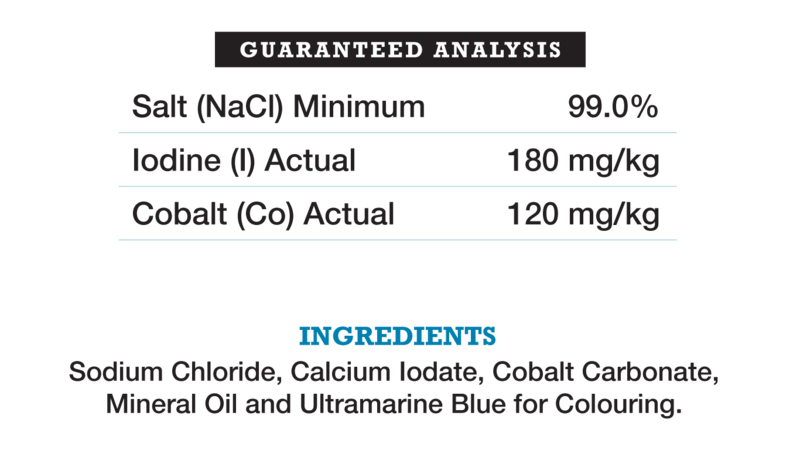 Cobalt creates vitamin B-12, which in turn stimulates appetite. However, cobalt doesn’t store in the body and is not easily absorbed. Producers can depend on this salt formulation to make sure beneficial cobalt levels are present. Available in 25-kg poly-lined paper bags, 10-lick cases and 20-kg blocks.